Last week’s Entrepreneurship 101 lecture featured a panel of intellectual property (IP) experts from Gilbert’s LLP. Salim Dharssi, Ashlee Froese and Matthew Powell all have extensive experience in IP and shared insights from their areas of specialization. They explained the different types of IP management and the importance of putting it in place for your startup. There isn’t one solution that works for everyone, so IP management for startups is dealt with on a case-by-case basis. 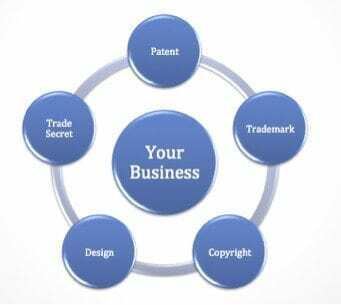 Our experts discussed the five types of IP: patent, trademark, copyright, design and trade secret. The panel also explained which situations need IP protection and how to keep costs down when you’re bootstrapping. Different types of intellectual property. Your startup may not need IP protection at this point in time, but it is necessary to be able to understand the different types of IP. Using this knowledge, you will be able to determine if any apply to your business. For example, consider whether you need to trademark your brand. Is your brand like the Nike logo, which symbolizes quality and expertise? If it is, trademark your brand now so you don’t need to re-brand later on. When you’re filing for IP protection, design your application to look beyond the present—consider what the world will look like when you’re successful and people come after your idea. An example of why this is necessary is Moving Staircase: A lack of IP management led to the company’s work only being known by the generic term, “escalator.” On the opposite side is Kleenex; even non-Kleenex brand tissues are often referred to as “Kleenex.” It’s important to consider IP protection because investors value the knowledge that their investment won’t leak away to a competitor. To watch the panel’s detailed explanation of IP management and ways to keep costs down, watch the lecture video below. Missed a lecture? We have an extensive online resource section, which includes videos, slides and relevant articles for each Entrepreneurship 101 session. Find these in the Entrepreneur’s Toolkit.